Happy hump day! I finally had some downtime last weekend in my craft room (happy place!) I just received this new set by Wplus9 - Modern Anemones. I apologize for the picture, it has been so dark and rainy here in Montreal. 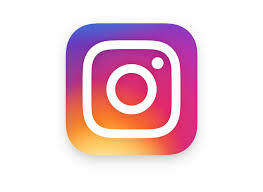 I swear I need a light box to take pictures! I decided to use the Mama Elephant frame so that I could place the flowers around it and frame the sentiment also from the same Wplus9 set. I am pleased with the way it turned out and I will keep practicing watercoloring for flowers! I finished off my project with some Pretty Pink Posh clear droplets. Happy Friday everyone! I have been neglecting my blog and crafty time lately. My work is a little cray-cray!!! lol. 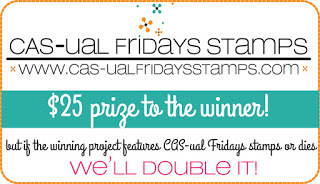 But it is time for anther CAS-ual Friday's Challenge! This one is all about the sketch! 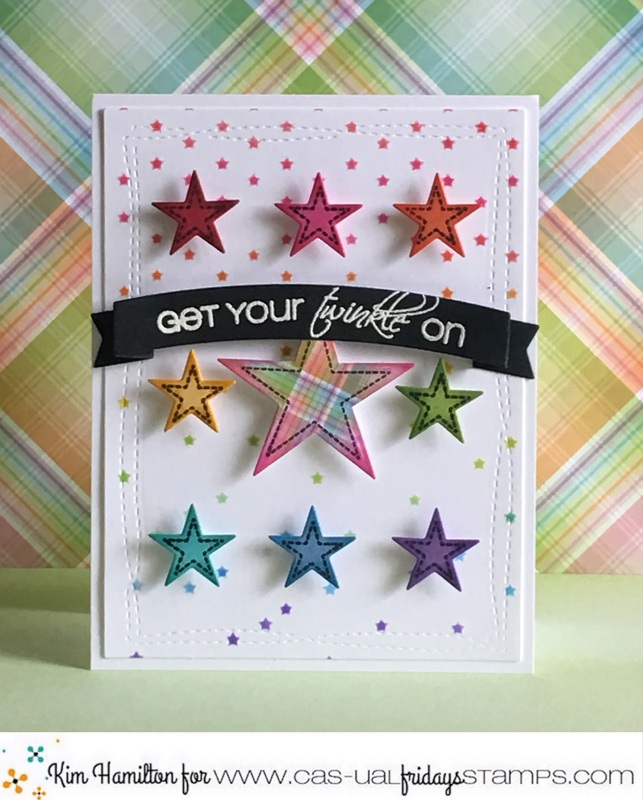 I had such fun making this one, I mean all crafters love rainbow right??? 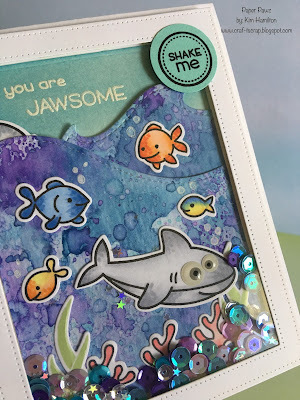 I used one of my favourite sets Twinkle! 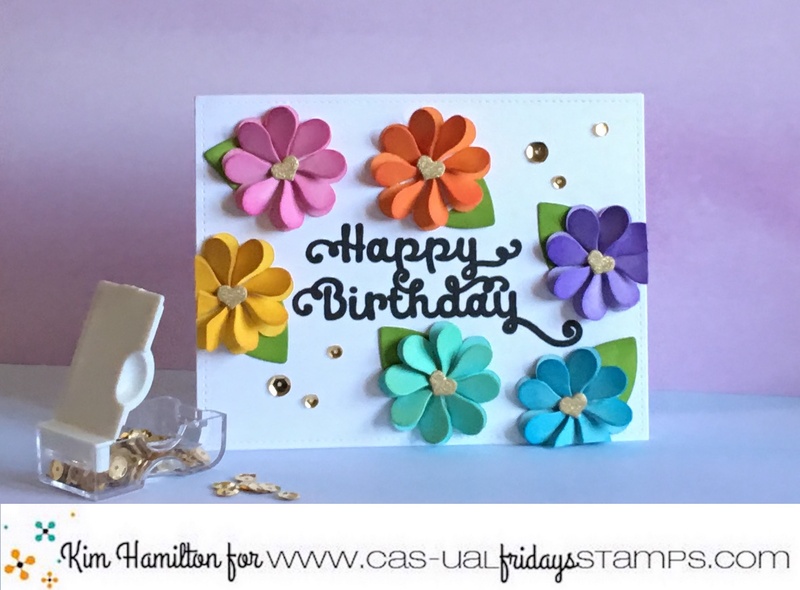 Along with the accompanying Stars Fri-Dies in a rainbow variety of paper. 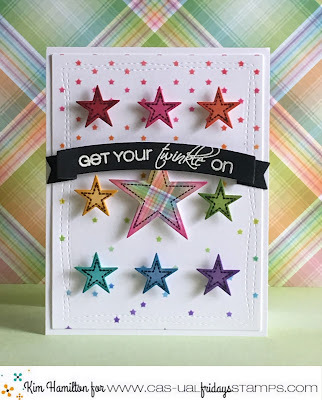 I added some ink to deepen each colour and stamped the corresponding star stamp on top. The sentient is also from the Twinkle set and was embossed with white on black. Didn't add any other embellies! I was so happy with the way it turned out! 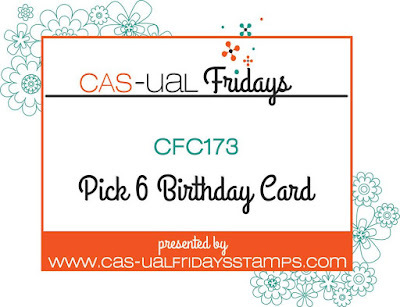 Happy Friday all but more importantly Happy 6th birthday to the CAS-ual Friday's challenge blog! 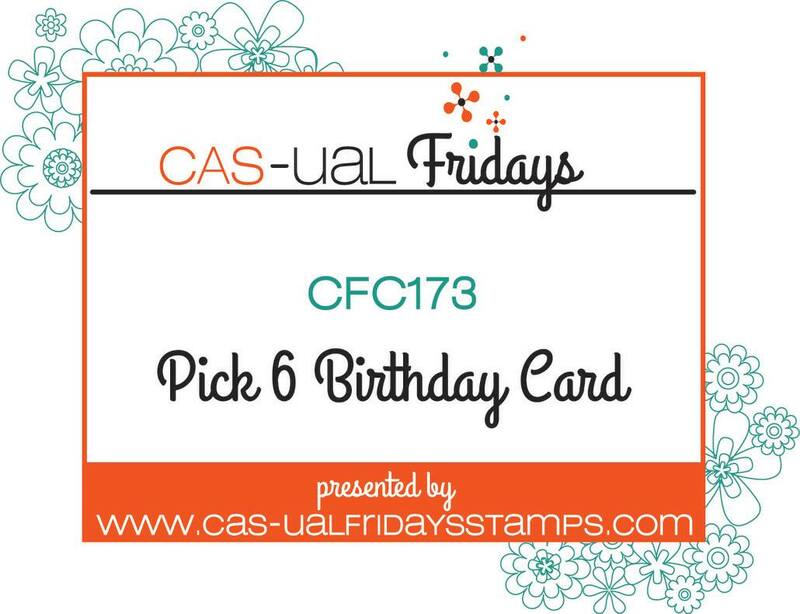 In honour of the Challenge birthday CFC173 is all about picking six! 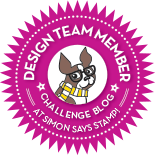 I has such fun making this project! I decided on six flowers and I saw a tutorial by Nichol Spohr on using heart dies to build your own flowers! So I decided I wanted to try that for my card. 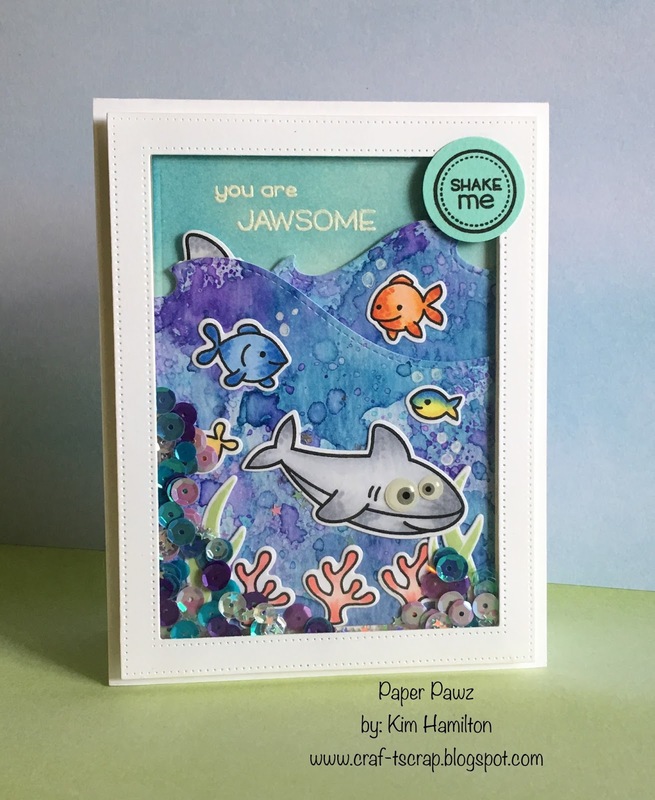 I used the heart die from the Shuffle Fri-dies and die cut my hearts from a rainbow array of papers.I then used my scoring board to score the hearts in the middle. 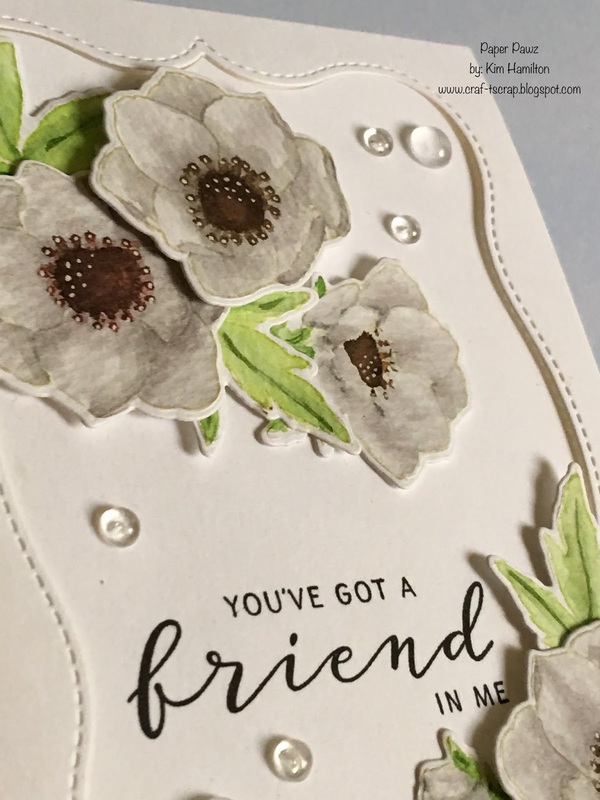 I pulled out my Distress Inks in shades slightly darker then my paper and added some shading to all the folded hearts. I put my "flowers" together and topped each off with a gold heart that I die cut using the Fun-Fetti heart dies. 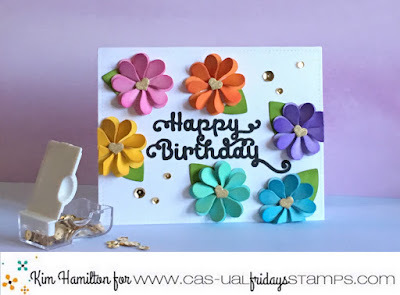 I took out a Neena Solar White panel and stamped the Happy Birthday with the beautiful sentiment from the new So Pretty stamp set. I finished off the card with some Pretty Pink Posh gold sequins. I ended up with six flowers, six topper hearts and six sequins! Happy Thursday! 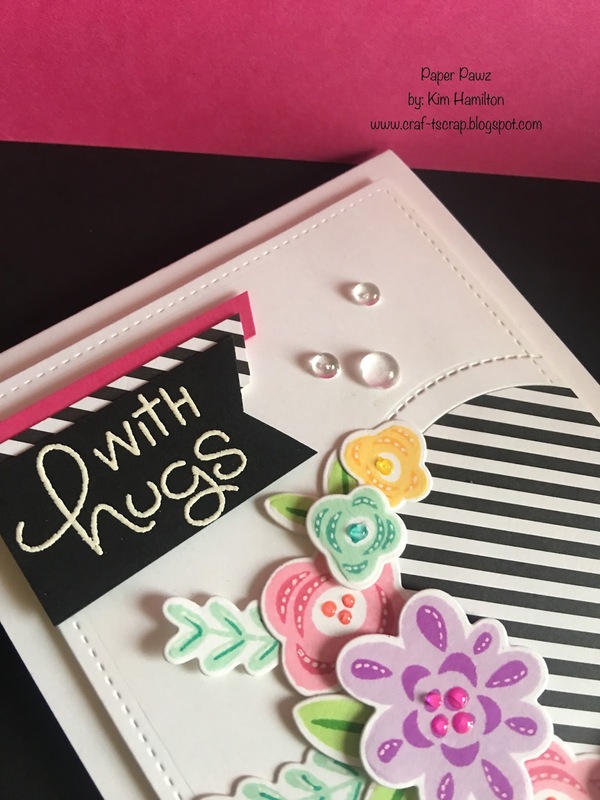 I have been so busy at the office, many changes have increased my workload and unfortunately I have been a little absent from my crafty time! 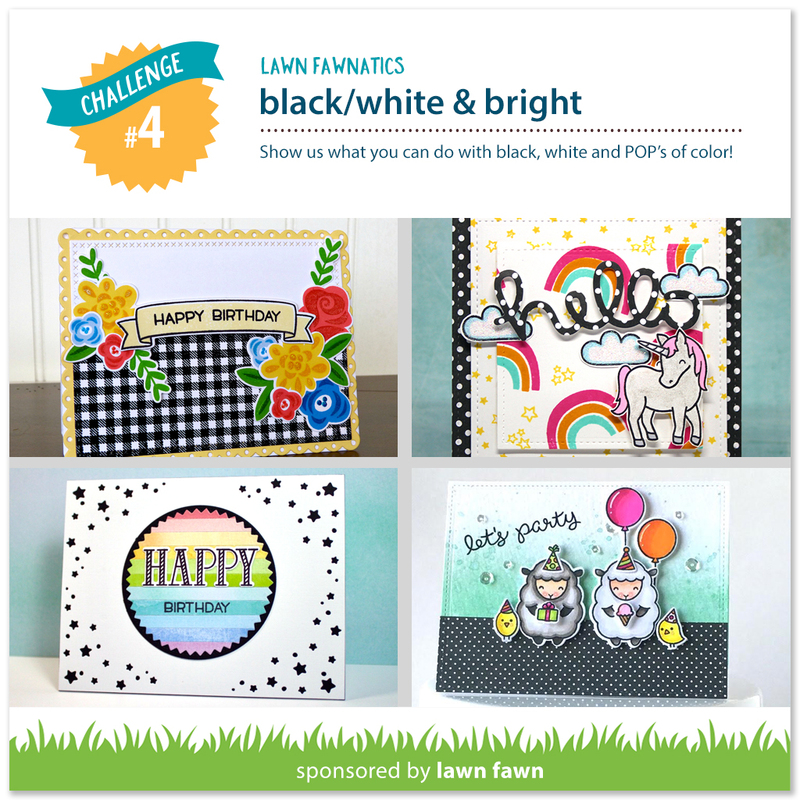 I had time to play to unwind and I made this card to enter into the Lawnfawnatics Challenge #4 - Black/White and Bright. 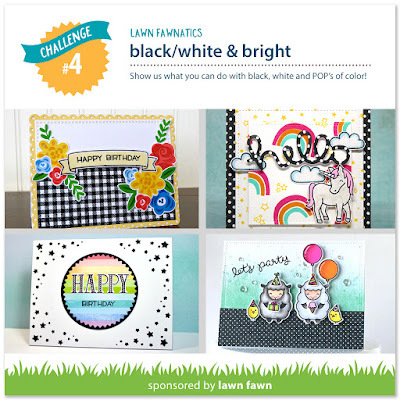 For brights I thought what better then the Fab Flowers stamps and dies by Lawn Fawn! 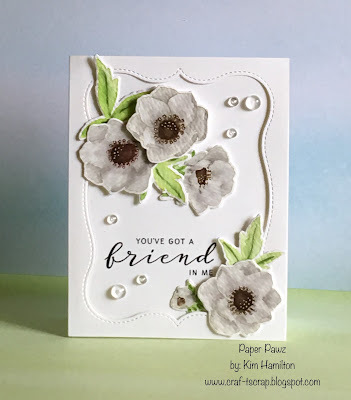 I started by stamping those with some bright die inks then pulled out my favourite black and white stripped pattern paper. I then decided to die cut a half circle and lay my flowers around the side. I white heat embossed my sentiment on Lawn Fawn Black card stock and added some of the pattern paper and some pink as well. Finished it off with some Pretty Pink Posh clear drops and some Nuvo Drops in the centre of the flowers.